Selecta Iray is juggling his mind again! After years of studying and listening to music from the big continent, this is what comes to his mind. 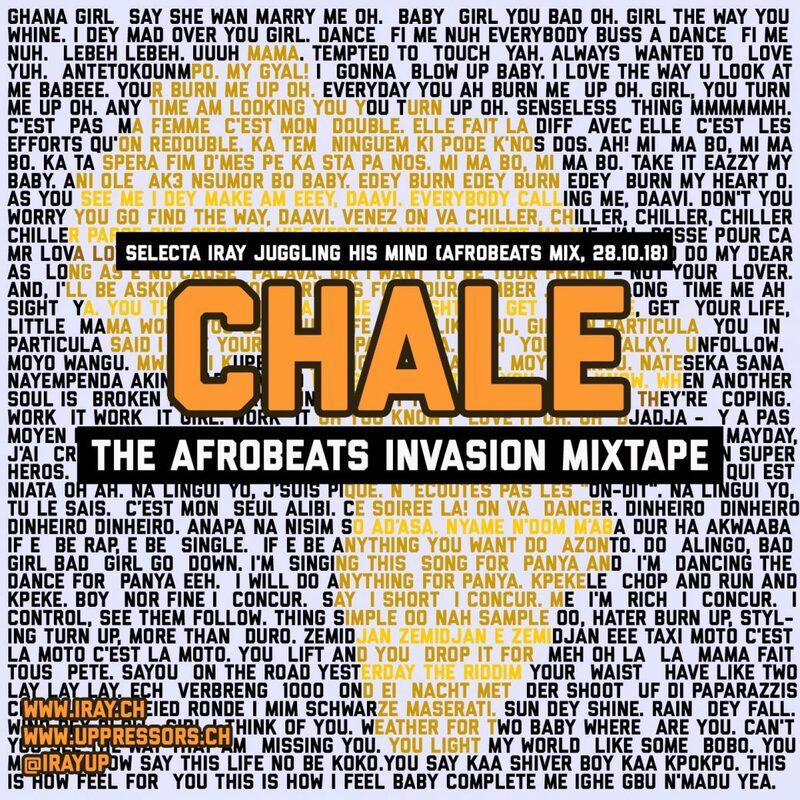 Finest Afro Beats Selection: From the mainstream to the mostly unknown. Mixed and selected by Selecta Iray from Switzerland’s Uppressor’s Crew.